Bree graduated with honours from Queen’s University in 2006 and moved to Yellowknife in May 2008 where she completed her master’s degree in epidemiology under the joint supervision of Queen’s University and ICHR. 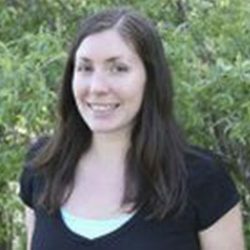 Her graduate research involved place of birth and health outcomes for childbirth in the Northwest Territories and was funded by PHAC and the CIHR Team in Circumpolar Health. From fall 2009 to 2011, Bree was based at ICHR, serving as a public health officer for the Public Health Agency of Canada.